The FusionBlade™ is fully integrated with the 64-oz. jar for simple operation and easy cleaning in the dishwasher. The stainless steel FusionBlade™ is designed to quickly crush ice and evenly blend soups and smoothies. The shape of the jar helps to create a powerful vortex. 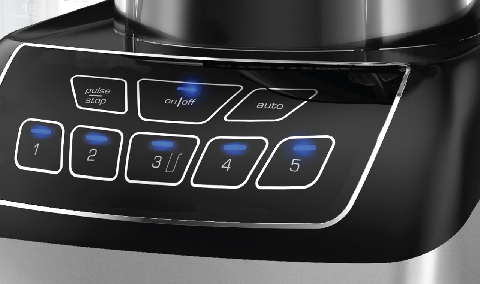 Blend with five speeds and a pulse function, or use five pre-programmed settings to quickly take care of a variety of creations like soups, smoothies, and more. Performance FusionBlade™ Blender is rated 3.1 out of 5 by 12. Rated 1 out of 5 by rcksmth from Only last a couple months The blender worked great at first but within a couple months the bearings went out and now the blade gets jammed and liquids leak out immediately , so much to the point I put my protein powder first because the liquid will spill out ! I tried to tighten the nut for the blade but it didn’t help , I Evan went to the existent of adding washers because the blade was so loose I couldn’t Evan blend it fast enough before the liquid spilled out and now greese is mixing with the liquids !!!! 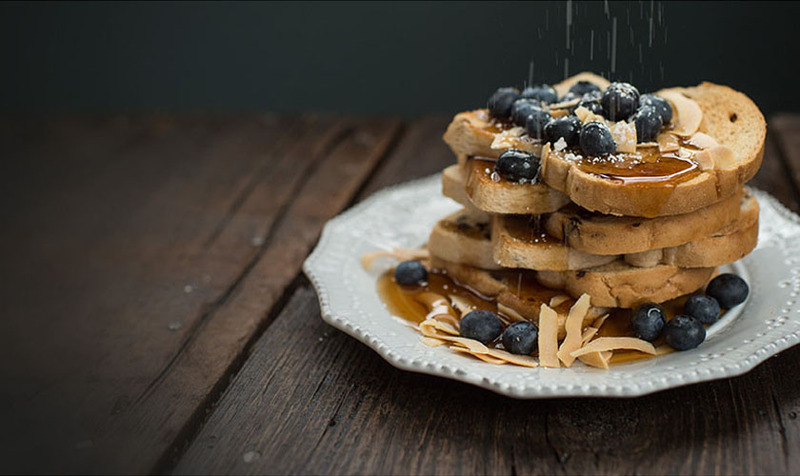 Rated 4 out of 5 by Fredyt123 from Great Blender - but I need help! I picked up this model from Amazon about 2 years ago. It is a very good blender and worth the investment.I have a question? Recently it started to leak from the bottom and the washer housing is loose. Any suggestions or repairing?? Is it a simple washer replacement? Does the nut which holds the blade in place need to be tighten? Rated 4 out of 5 by Heffmar from Was a great blender We bought this blender about a year ago, and it has performed wonderfully. The only problem we have now, is the large blender jar, the blade won’t turn. Even by hand, it is seized up. I’m guessing bearings have gone, but I don’t know. It seems pretty early for bearings to wear out. I will be contacting customer service about this. Rated 3 out of 5 by IvyRN from Not as great as I was hoping I love the personal blending jar for Bulletproof Coffee, but when using the larger blender, hot liquids spew everywhere. Rated 1 out of 5 by Digger from Good performance but bad quality Only a few months after purchase the jar started cracking. Both the lid and jar have split and leak. I can't use it anymore. I can only use the smaller personal blender jar. Rated 5 out of 5 by Evada from Keeps up with the big blenders! I was skeptical about buying this blender because to me, Black and Decker is a power took company! Well, I'm sure glad that I decided to give it a try! I've owned a Vitamix and a Blendtec and this blender is on par so far! I actually like it better than both! It seems like Black and Decker took all of the complaints from other manufacturers and fixed them designing one incredible machine! It feels solid, beautifully designed jug with an easy pour, well-sealed lid, and I love that the handle is one solid piece with a nice grip! The digital display reminds me of my Blendtec and I hope it doesn't fail like my Blendtec did (fingers crossed)! So, I'm giving this a 5 star, but only after 2 days. Oh, one small complaint is the jar squeaks, I'll see if Canadian tire will exchange just the jar, other than that, happy happy happy!!!! I'm going to hopefully buy the food processor in this line up next. If you get a good deal on this, even at full price, I say it's a steal! Forget the overpriced brands this keeps up just as well if not better!!! This blender keeps leaking down/out the shaft, what replacement part is needed? Thank you for sharing your feedback regarding your Black+Decker Performance Blender. I'm sorry to hear about the trouble you&rsquo;ve experienced with your blender leaking. I've already taken action by documenting your complaint, and I want to fully resolve this issue to your satisfaction. Your blender has a three year warranty. Please contact us at youropinionmatters@spectrumbrands.com and reference ID number 41775623, so I can better assist you. I look forward to hearing from you. 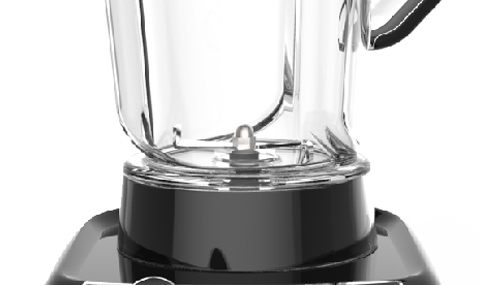 Does this blender have an overload switch off? while blending the titan jar is leaking. what should I do?